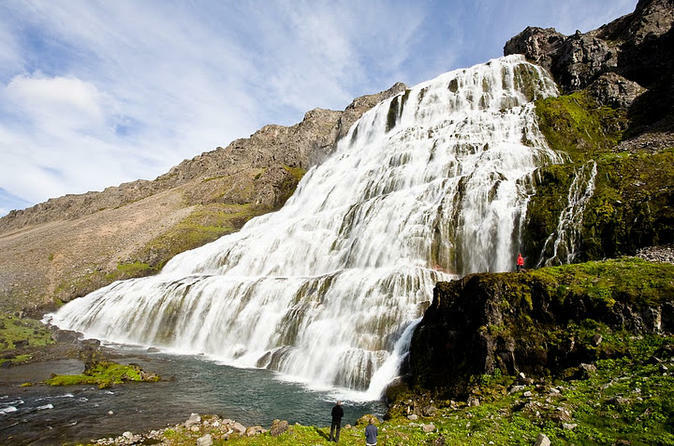 Explore Dynjandi waterfall and the stunning landscape of the Westfjords on this guided sightseeing day tour from Isafjordur. 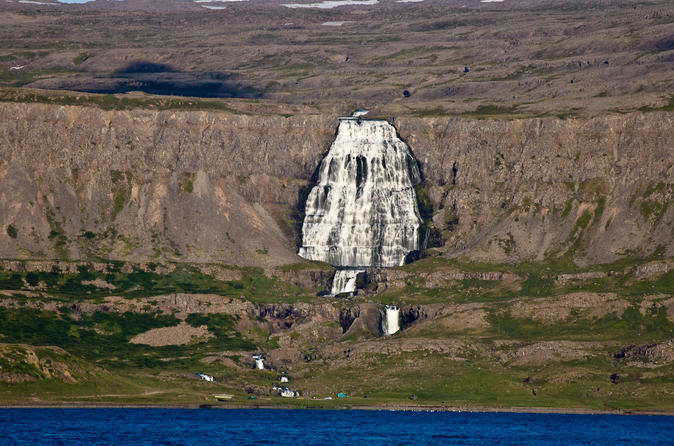 Dynjandi is one of Iceland’s most impressive & majestic waterfalls, and often considered the icon of The Westfjords. We drive from Isafjordur to Thingeyri village, from where we circle the dramatic seaside road of Svalvogar peninsula at a slow pace in our super jeep. Enjoy fantastic fjord views and impressive mountains as we make our way around the peninsula. 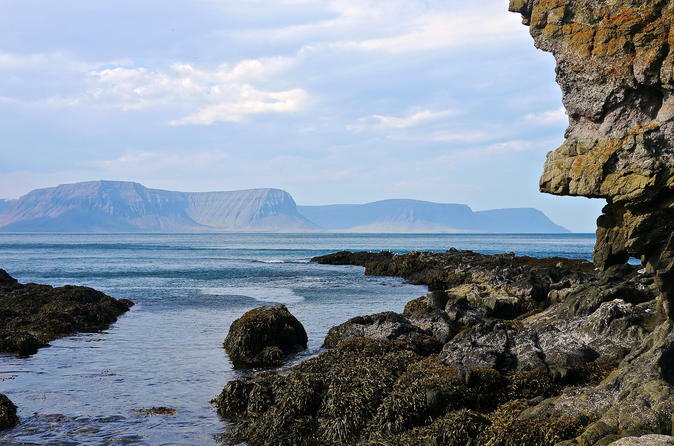 The trail is characterised by sharp cliffs, pure beaches, abandoned farms & magnificent creeks.